﻿ What is Parallel Skiing? 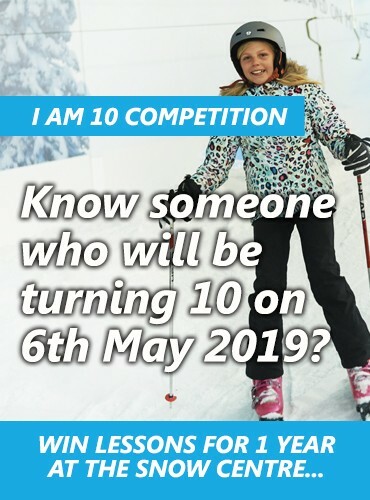 HOME > NEWS & EVENTS > Skiing Tips >What is Parallel Skiing? Parallel skiing is the kind of skiing that looks cool. The term ‘parallel skiing’ refers to making turns with the skis parallel to each other rather than displaced in a wedge shape (snowplough). Usually, parallel skiing is performed by intermediate or advanced skiers and is a natural evolution from the beginner snowplough. Between snowplough and parallel skiing, there is a phase known as “plough parallel” which is a combination of both. Before progressing to parallel skiing, it’s important to master snowplough turns with your instructor. At this stage, it’s necessary to practice varying the turn shapes and skiing longer descents using the snowplough turn to steer the skis — while maintaining a focus on good posture and body management. Once basic snowplough turns are comfortable it’s time to start thinking about progressing to plough parallel turns. As the name suggests, plough parallel starts with a snowplough to get the turn started, but ends with a parallel swing. Gradually the snowplough shape is reduced and the parallel swing starts earlier. At this point, the skier naturally starts to ski a little faster (flow) and balance earlier against the new turning ski. As confidence builds, it’s normal to become less reliant on the wedge (snowplough). To comfortably progress to parallel turns it’s important to work on balance on each ski, pressing early against the new turning ski and transferring pressure from one ski to the other. This is known as pedalling, because it’s a similar movement to pedalling on a bicycle. When pressing against the next ski the other ski must be released with a degree of fluidity. During a successful parallel turn the pressure is mainly over the outside ski. Which is why you may see ski instructors running on-slope ski drills that involve balancing on one leg. 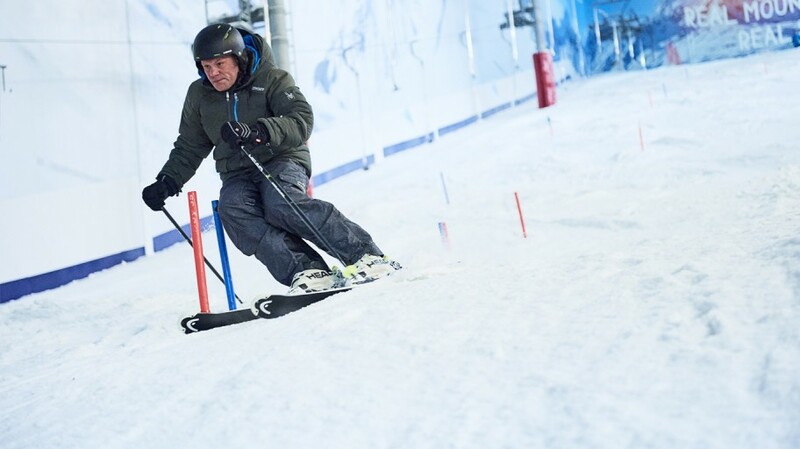 At The Snow Centre, you can learn these skills in Level 6 Ski Lessons, once you’re comfortable skiing on the centre’s 160m Main Slope. To make a successful parallel turn the skier must commit early to the new turning ski (press) whilst releasing pressure from the previous turning ski. This must be done simultaneously. At the same time the skis must be pivoted into the new direction. To help this movement, you often see parallel skiers bending and stretching their legs as they press and steer. Using edges. A natural progression when moving from one turn to the next is to lean and tilt the legs and thus the skis. This engages use of the ski’s edges. When pressing weight onto the outside ski it feels natural to move onto the inside edge of this ski rather than the smooth ski base. Similarly, the inside leg naturally feels more comfortable on the outside edge during a turn. During this stage of progression skiers learn how to use their edges to grip through a turn – you’ll know exactly what we mean by ‘grip’ when you feel it. Fluid motion, the last stage before it’s simply time to just keep practising. At this point, timing of the bending and stretching leg movements, application of pressure against the skis, and the edge grip becomes key to development. Progressing this to a fluid motion will see you gliding down the slope with ease and ready to try carving.